What is the Athens Saturday Market All About? The mission of the Athens Saturday Market is: To support local agriculture and increase economic opportunities for farmers, small businesses, and artisans to educate and provide access to healthy local foods and to build a vibrant gathering place for Athens residents and visitors. The Athens Saturday Market runs June 7th through September 8 AM to Noon and is hosted by the Alabama Farm Credit and Spirit of Athens. There are also Farmer’s Market days on Tuesdays and Fridays coordinated by The Limestone County Commission that is from 6:30am to 1pm. On Saturday, July 5th The Athens Market will be hold Patriots’ Day celebrating our country’s independence. This event happens on the weekend near July 4th every year and may not always be on a Saturday. Arrive early for breakfast drinks from Clover Coffee and Piper Leaf along with breakfast biscuits from Suzanne’s and wraps from Picasso’s. Of course, you will still find our local fruits and vegetables with these specialty foods. From 9am until 12pm you are invited to come listen to The Cool Bone Brass Band, back bypopular demand, sponsored by the Athens Rotary Club. At 10:30am you are encouraged to come patriotically with your children and pets to participate in a New Orleans-style Second Line parade. Decorate bicycles, strollers, and wagons. Prizes will be awarded. Come check out the local produce and special events. 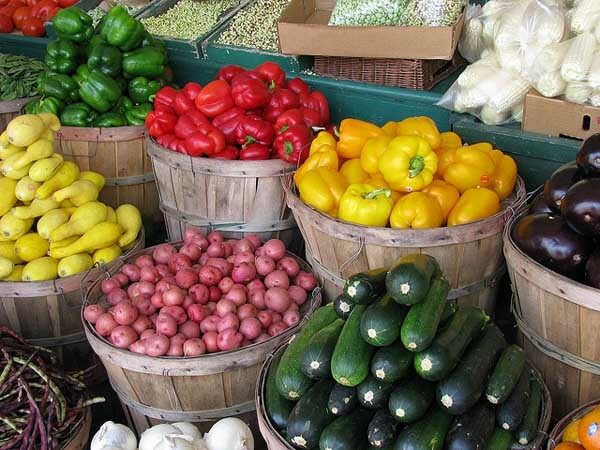 The Athens Saturday Market is at the Farmers Market Pavilion on 409 Green Street in Athens. If you’ve been searching for a place to get your fresh, local produce, this is one of the top choices.